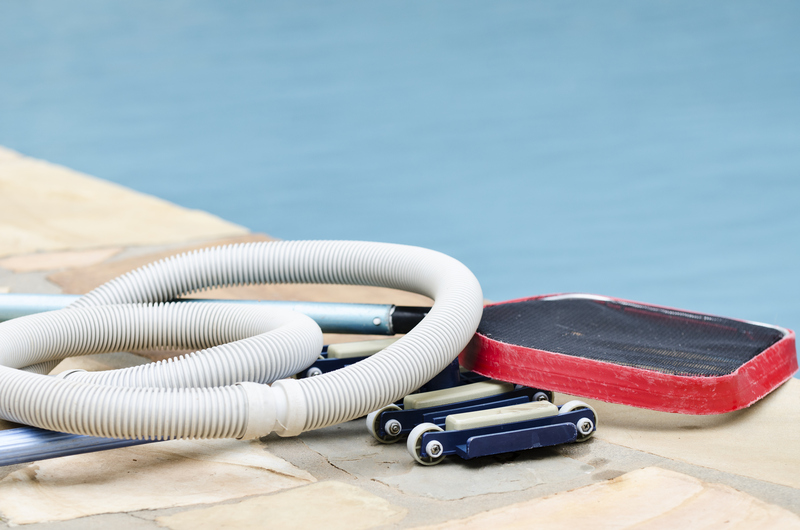 Learn how you can keep your pool clean and beautiful all summer long! If you are lucky enough to own a pool then you know it is one of the most used areas of your home during the summer. It’s necessary to keep your pool clean and your swimmers healthy. This week we are looking at seven ways to keep your pool clean this summer! No matter what kind of pool you have it is important to check the pool chemistry once or twice a week. Remember that your pH should be kept between 7.2 and 7.8; the lower your pH, the less chlorine you need in your pool. This is an easy step to not take seriously because you may assume the filter is doing its job. Not only should you check it with regularity cleaning your filter keeps your pool water nice and clean throughout the year. If your water level is too high in your pool the skimmer door won’t work to filter properly. Conversely, if your water level is too low your pump can run dry and burn up if there is no water being filtered through. If you check around your perimeter on a regular basis you will be able to identify if there are cracks or problem areas around your pool. If your pool is exposed to debris it can make your pool water unhealthy. If you identify any cracks, simply caulk it and ensure that no water has leaked through. Keeping plants and animals away from your water not only protects the cleanliness of your water but also keeps the plants and animals safe. Droppings from birds or plants into your pool can breed algae making your water unsafe. This basket exists in your pool to college hair and lint and other small debris from your water. This basket is typically attached to the front of your pool pump, and allows your water to be filtered for cleanliness. If this is not cleaned, you risk unfiltered water. Make sure the gates around your pool are keeping your family members safe. Gates around the pool also can help with avoiding animals getting into your pool making the water dirty of contaminated. This entry was posted on Thursday, June 1st, 2017 at 4:07 pm. Both comments and pings are currently closed.